When fish is cooked, turn off flame. 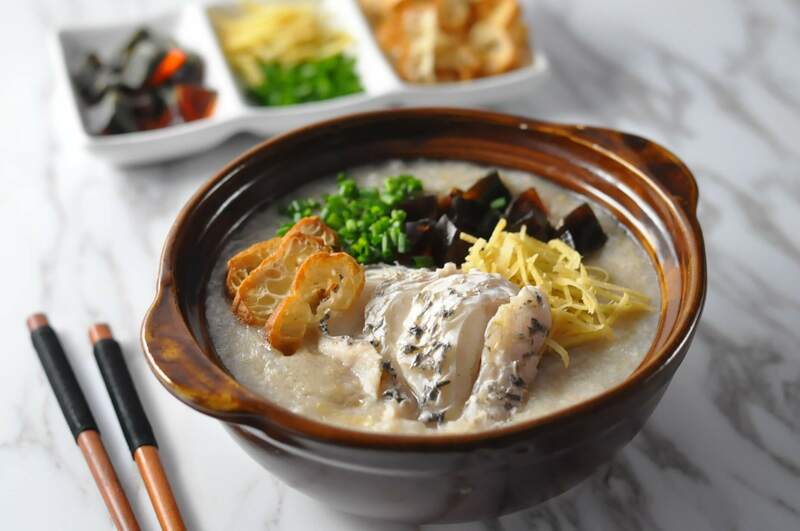 Serve porridge with fried fritters and century egg. Garnish with shredded ginger and diced spring onion.